Floating through the valleys of the Medoc, Libourne and the Entre-deux-Mers, the Bordeaux region is both stunning and mysterious. This cruise takes you through the largest area of the AOC vineyards in the world. You will discover the Pauillac and Medoc, Blaye, Saint-Emilion, the chateau de Roquetaille, Cadillac and Bordeaux. The cruise will also take you through the two great rivers and the Gironde estuary. The scenery will offer complex and colorful mosaics of scenery, textures, and moods- all of it breathtaking and worth bringing and extra memory card for pictures. This rich and diverse region will leave a lasting impression on you, and our cruise will leave a lasting feeling of luxury and relaxation. Carefully maintained and partially renovated each year, the CroisiEurope fleet is largely made up of recently built vessels, less than five years old, all with Veritas certification. 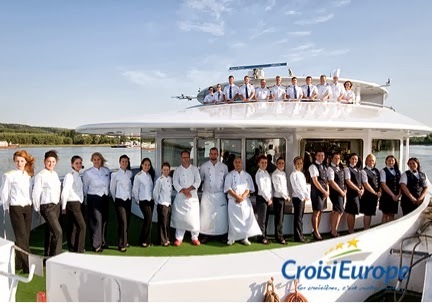 The leading European riverboat tour operator, the CroisiEurope company owes its international reputation to its seriousness, its dynamism, its sense of innovation, and its recognized value for money of long standing. On board, you will find all of the amenities and comfort expected on a France Cruises trip. With a knowledgeable staff, ready to point you in the right direction, arrange day trips, as well as answer any questions about the region; your trip through Bordeaux will be the trip of a lifetime. All of the cabins are located above water level and offer a panoramic view of the scenery. Spacious and comfortable, the cabins have either twin beds or a double bed with a bathroom (featuring a shower, WC and skink with towels provided), and 220V electricity. They cabins are also equipped with satellite television, radio, hairdryer and safe. Some cabins are also equipped for the (physically) disabled. As well as the cabins, there is also a luxurious sundeck, where guests can enjoy taking in the sum, relaxing, or admiring the beautiful scenery. There is a lounge, bar and library where guests will be able to enjoy pre-dinner drinks, dinner dances, as well as a large selection of books. There is also a souvenir shop on board, allowing passengers to bring home postcards, stamps, souvenirs, and practical articles forgotten at home. If you would like more information about the CroisiEurope- Bordeaux cruise, please visit our website here.